Mazooma is a UK based company and they have been in operation since 1997. Like a lot of casino software developers they started life in creating land-based products such as fruit machines and slots, but eventually took the plunge in the late 2000s to offer products of an online nature. The company work tirelessly alongside brands from around the world, but it’s probably fair to say that the target area for their games is within the UK and across Europe. The switch to the online marketplace has seen massive success for Mazooma, and in that time they have worked alongside companies such as Betfair, Sky Vegas, Ladbrokes, Coral, and BetVictor, to name but a few. 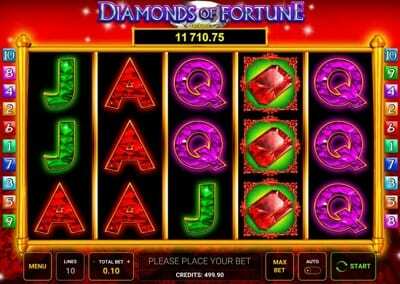 Their games come as instant play and they are probably best known for their foray into online slots than anything else. 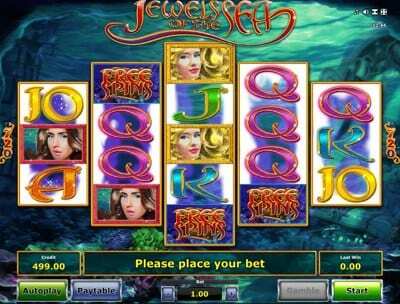 As mentioned, a huge part of what the company are about is their commitment to online slots. They have a reasonable portfolio of 34 games in total, split between Online games, Mobile Games and UK Video games. The quality of the games on offer throughout the site varies and it’s clear to see that some of the earlier titles have failed to stand the test of time. However, some of the later games such as King of the Pride and Jewels of the Sea are right up there with some of the best in industry. What you get as a base model are games that are feature rich and also include a good range of playable additions such as bonus rounds and games and a mix of paylines for each game. The only thing that lets some of them down is the dated design. Whilst on the whole it’s not a massive issue, given how many slots there are to choose from in the marketplace today, they really will need to up their game if they are to take it to the next level and appeal to a maximum audience. What was pleasing to see is the companies decision to target mobile specific games. If you are unfamiliar with the casino industry then you may not realise that a large portion of games that you see on an online casino actually aren’t accessible on mobile. This is starting to change now but Mazooma addressed this early by bringing out 9 titles of their own that have been specifically designed for use on a mobile. The downside is that the results and quality of the games on offer are mixed, with some being considerably better than others. The standout games included were Gemstone Jackpot, Diamonds of Fortune and Fruit Drops. Since the company came into being in 1997, Mazooma has been slowly but steadily building upwards in the casino industry. They spent a huge chunk of their early days creating land-based games, which wasn’t uncommon for a casino company of this ilk at the time. As they are based out of Nottingham, their games could be played across the UK, but as they grew they stocked a number of high profile casinos with their software across Europe. It wasn’t until 2009 when the company first broadened their horizons to online casino games, with Sky Vegas allowing them to provide some of their game library. This saw a huge shift in focus as to where the company wanted to go, with online gaming being the obvious choice. In 2012 Mazooma were acquired by the Novomatic Group which has allowed them to continue to operate heavily within the online sector. This has also opened up several doors for the company in terms of increasing brand awareness, highlighted by the fact that they now work with some of the biggest casino operators in the industry.